Are You Searching for Reliable Moving Companies in Bogart, GA? Moving companies are a dime a dozen, but there is one that stands a cut above the rest: Bulldog Movers. For more than three decades, we have been providing exceptional relocation services to residents of Bogart, Georgia, and have earned a prestigious reputation as a mover that can do it all. Whether you are moving down the street, across the country, or across the world, our team of moving experts can make sure that your relocation goes smoothly from start to finish. Thanks to our commitment to total customer satisfaction, we have earned numerous accolades, including the Consumers’ Choice Award for nine years in a row, and an A+ rating with the Better Business Bureau. The best crews – Unlike other moving companies that only hire an applicant based on their ability to lift heavy objects, we make sure that all of our employees have passed an extensive background check, are friendly, and have years of experience working in the industry. Plus, we never hire subcontractors, so you will be working with our team of professionals from beginning to end. Advanced trucks – Our trucks are equipped with helpful features such as air-ride suspension and GPS tracking, and are extra-large so they can transport more of your belongings at once. 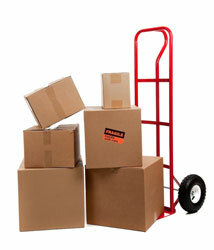 Storage space – We have a 40,000-square-foot facility where we can store your items securely. For more information on all of the ways that we outperform other moving companies in the Bogart, GA, area, contact Bulldog Movers today.